This coffee cooperative is growing its business by relying on the leadership of women. Every morning, Dora Lisa Carrión Gómez rises early to make the morning shift at Saja, the cafe she manages in the quiet Andean town of San Ignacio in northern Peru. Saja is owned and operated by members of the APROCASSI coffee cooperative's women's group. These 72 women also produce their own line of coffee, which they sell in the cafe, as well as internationally through Allegro Coffee and Whole Foods Market. With its hip woodcut sign, single-source coffee, and display cases lined with organic honey and stevia, the coffee shop would be at home in Brooklyn or San Francisco. Instead, it's in an unassuming town near the border with Ecuador. But what Saja lacks in cosmopolitan surroundings, it makes up for in business. The café is thriving. Maria Jovita Vasquez Carranza uses her income from the APROCASSI cooperative to pay school fees for her two children. Dora Lisa’s easygoing sense of humor disguises a woman who works very, very hard. After checking in on the cafe in the morning, she heads to the coffee farm she inherited from her parents, where she works until the sun begins to set over the Andes. She then returns to the cafe at peak evening hours, often staying until 11:00 or 12:00 at night. And among all of this, she still finds time to raise her young son. 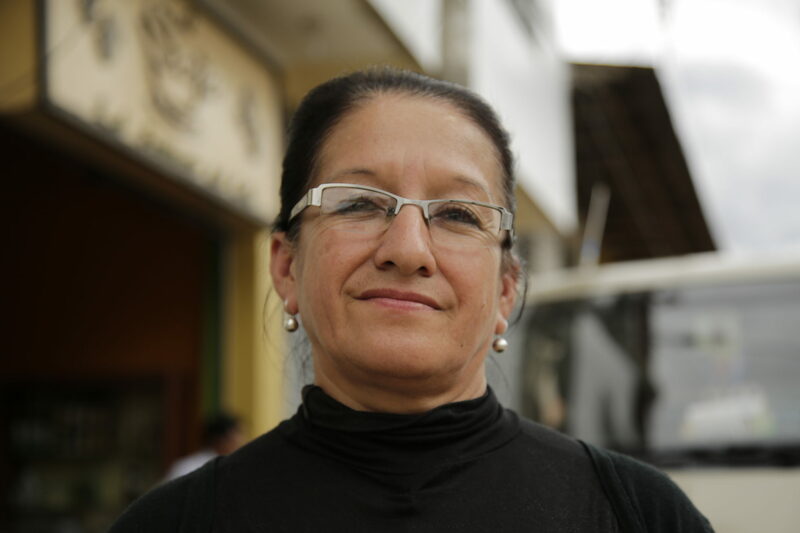 For Dora Lisa, coffee isn’t just a source of income—it’s a way of life. But most of all, it’s a way to create opportunities for the women in her community. And to her, the cooperative’s support of women has been crucial. As the cooperative has grown, the women’s association has transformed from a side project into one of the cooperative’s greatest assets. When Allegro Coffee, the specialty coffee company owned by Whole Foods Market, launched an entirely women-produced line of coffee called “Café la Dueña,” in 2014, they looked to the women of APROCASSI. Three years later, APROCASSI is still supplying high-quality beans—produced entirely by women—to Allegro. In return, Allegro pays the women’s group an additional $10,000 per container—a premium that Dora Lisa and her team have invested in projects that benefit the entire community, such as a small store that sells necessary provisions and nutritious food at an affordable price. Because of Dora Lisa’s leadership and the hard work of her women’s association, the APROCASSI name is becoming internationally recognized—and its members are reaping the benefits. Dora Lisa and a farmer from the Aprocassi cooperative show off Allegro's Café la Dueña. Dora Lisa’s job isn’t easy, she admits. But it is rewarding.